At DDS Root Canal, we know the importance of community. That’s why we regularly give back. Not only does DDS Root Canal donate free endodontic treatments to veterans of our nation’s military, but we also actively engage other areas of the community. Last year around the holidays, the team at DDS Root Canal collected and donated several boxes of toys to Cohen’s Children’s Hospital. It was just a small gesture to brighten the holidays for children receiving treatment at the hospital, but DDS Root Canal also strives to keep our patients healthy year round. Early detection of dental disease and oral cancer allow swift intervention and DDS Root Canal prides itself on offering exemplary care. There are many signs and symptoms of oral cancer that you should be aware of. If you have a sore in your mouth that doesn’t heal or bleeds, you might want to get it checked out. A growth or thickening of the skin lining your mouth, loose teeth, jaw pain or stiffness, tongue pain, and a sore throat are also possible symptoms of mouth cancer. Keep in mind that these symptoms can also be something completely unrelated to mouth cancer! When should you see your dentist if you suspect oral cancer? If you have any persistent symptoms or signs of oral cancer that do not go away after two weeks, you should make an appointment with your dentist or doctor right away. They will be able to determine if your symptoms are a cause of something else, like an infection, or if further testing needs to be done to determine if you have oral cancer. Mouth cancer actually forms when cells in your mouth or on your lips develop mutations in their DNA. With time, the mutated cells may spread inside the mouth or onto other areas of the body. It is not clear exactly what causes oral cancer, but risk factors have been identified. These include tobacco use of any kind, excessive alcohol use, human papillomavirus, a weakened immune system, or extensive sun exposure. Is there anything that you can do to help prevent oral cancer? There is no way to prevent oral cancer outright, but there are some actions you can take to reduce your risk. These include halting or never starting to use tobacco, drinking only in moderation, eating a wide variety of vegetables and fruits, protecting your lips from excessive sun exposure, and seeing your dentist regularly. If you want to maintain strong oral health, seeing your dentist regularly will help. At DDS Root Canal, Dr. Michael Baharestani offers the highest level of care in a comfortable environment. 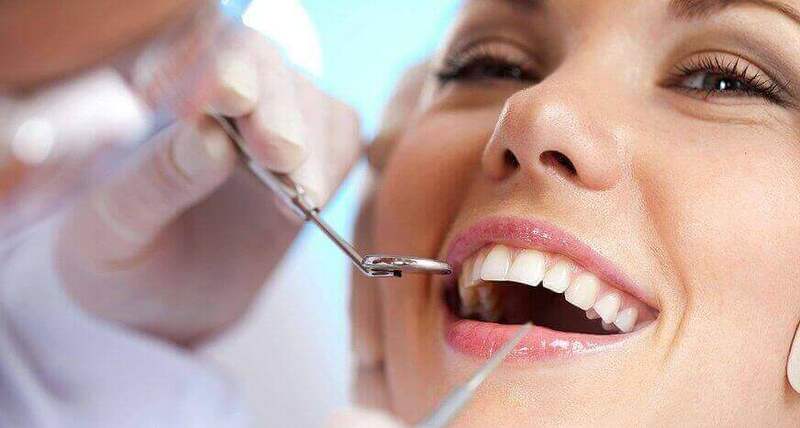 Trained in the most advanced technology in the dental field, Dr. Baharestani offers quality dental services in Great Neck, Roslyn, Port Washington, and surrounding NYC areas. Whether you are in need of a root canal or looking to have your mouth examined for suspected oral cancer, trust the expert team at DDS Root Canal. Contact us today to schedule your appointment!